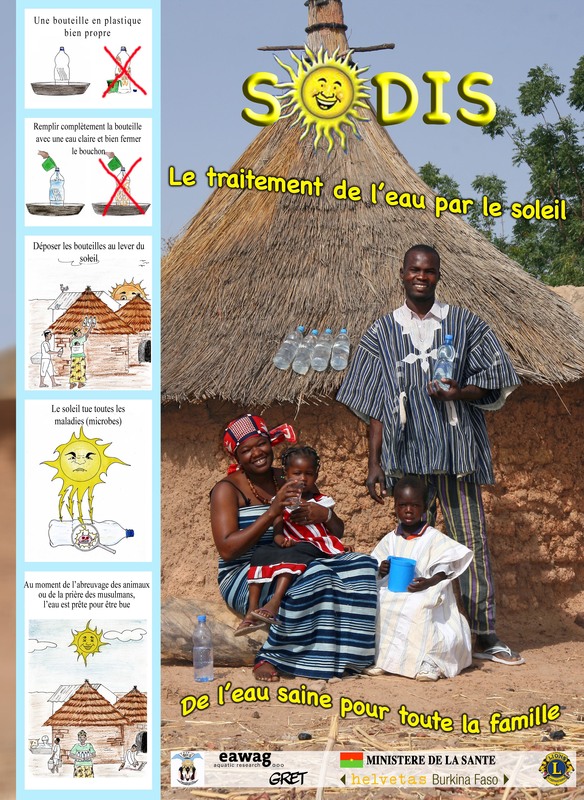 The educational materials we have developed can be used for SODIS projects. It must be quoted. The use of the materials for websites requires the prior written consent of Eawag. The use of the materials for commercial purposes is prohibited. The SODIS manual contains detailed information about technical and promotional aspects of the SODIS method. In the Safe Water School children are educated in the fields of water, hygiene and health. The education is combined with the development of an adequate infrastructure and daily application of the new knowledge. More information as well as the manual can be found here. The SODIS manual can be used by project managers and local technical staff. The manual contains technical information about the effect of SODIS, a detailed description of the process, the advantages and disadvantages of SODIS, and information about the implementation of projects. The various language versions have different layouts. Their contents are identical. The training manual is intended to support government organisations, international development organisations and NGOs that are already active in the field of community health education or domestic water treatment. It describes the most important factors for successful implementation of a SODIS project. The information it contains has been collected from various projects in Africa, Asia and Latin America. Various education methods involving audience participation. The material provided here is intended for educating people who use the SODIS method. 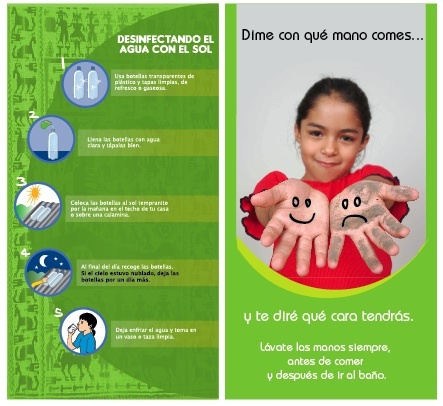 Other material is available for different target groups (adults, children, various nationalities). The available documents are meant as examples. If you need other training material or document from a specific country or in a particular language, please contact our project team or our partnerorganisations (see under projects). We have produced films about the SODIS method in several different countries. We broadcast these films on the national television networks regularly to inform the general population.